Now going on 83 years, the 2018 Chevrolet Suburban carries the industry's longest-running nameplate. Still the go-to vehicle for big families with big needs, the Suburban is hard to beat. Its only real competition comes from the extended-length Ford Expedition Max, a vehicle that is both newer and able to tow 1,000 more pounds than the Chevy. Suburban: the perfect car for families. My new suburban has great features such as a backup camera, Sirius XM radio, remote start, heated leather seats, hands free calling, and OnStar. It drives so nicely and has great audio as well. I love that the back seats fold flat with the floorboard. This makes loading and unloading and hauling things so nice. I can seat right pretty comfortably. 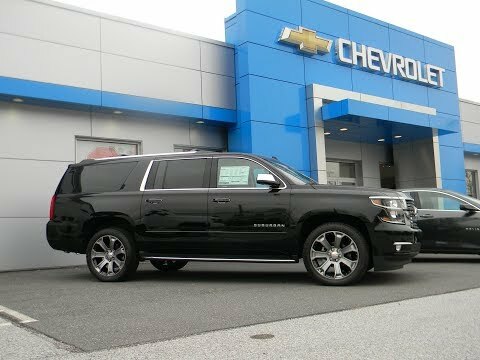 The 2018 Suburban has more cargo room than you could ever need. I love my new 2018 Suburban for so many reasons, but the biggest reason is the size of the cargo area, as we are always traveling and hauling many items. I also love that we are able to seat up to 8 passengers, and still have plenty of room. My only complaint is that the rear seat entertainment system blocks the rear view mirror. I have had 3 adults sitting in the 3rd row, everyone was comfortable. I have not had any issues with this vehicle. My family grew and we needed more room. It fits car seats, and older kids comfortably. I can have 3rd row seating up and still have enough cargo space for when we travel. Smooth ride, great on gas, very quiet. I like how is switches from v8 to v4, to save on gas.